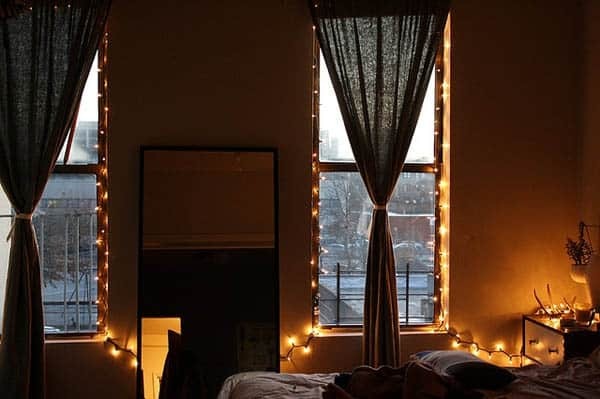 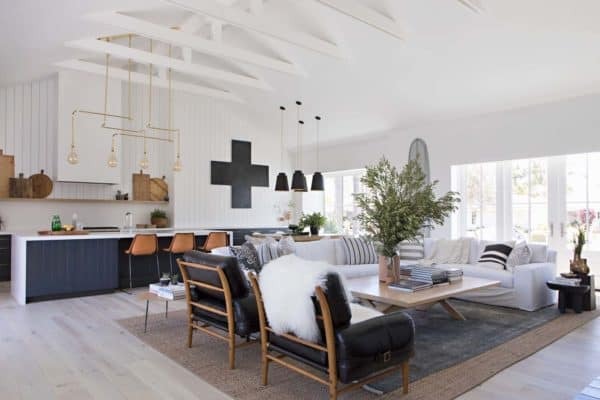 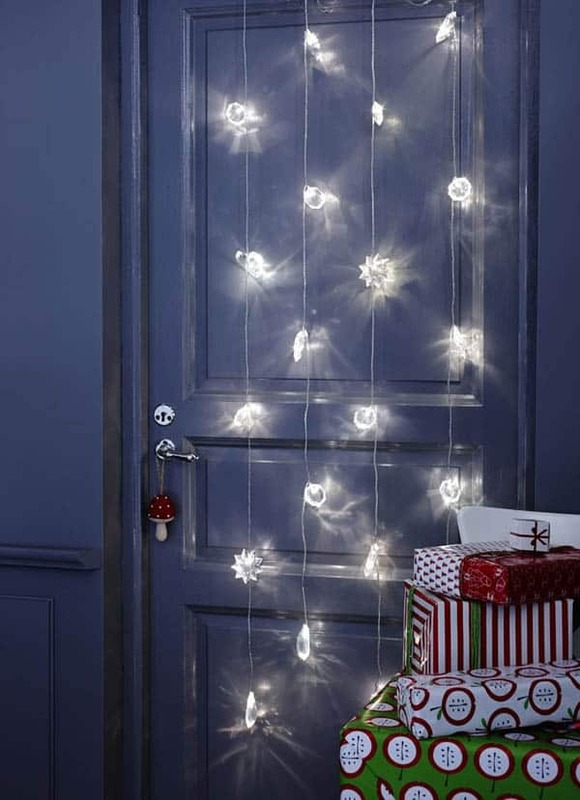 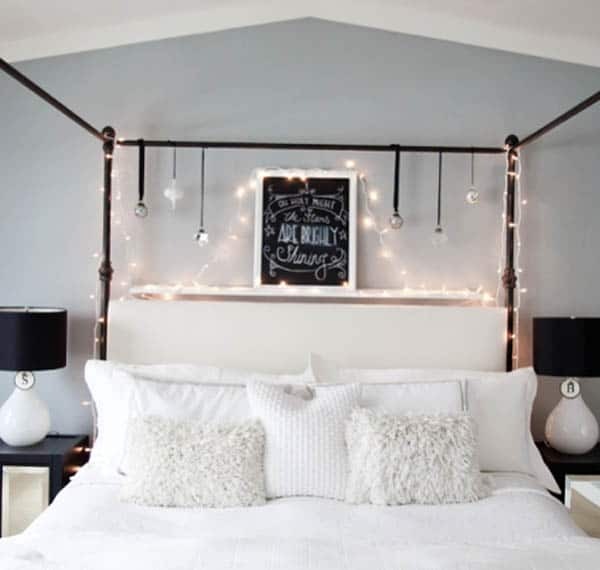 String lights can be used to decorate just about any bedroom in your home, from the master bedroom retreat, to a guest room, children’s bedrooms to a bachelor pad or even a dorm room. 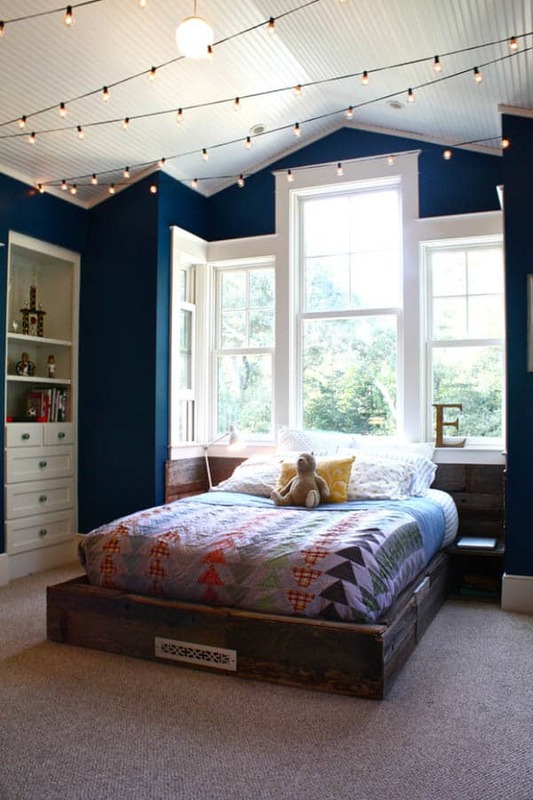 There are numerous ways they can be incorporated into your design scheme, from draping them over a footboard to adding them into a headboard; they can be placed around a mirror, along the ceiling or even around a window. 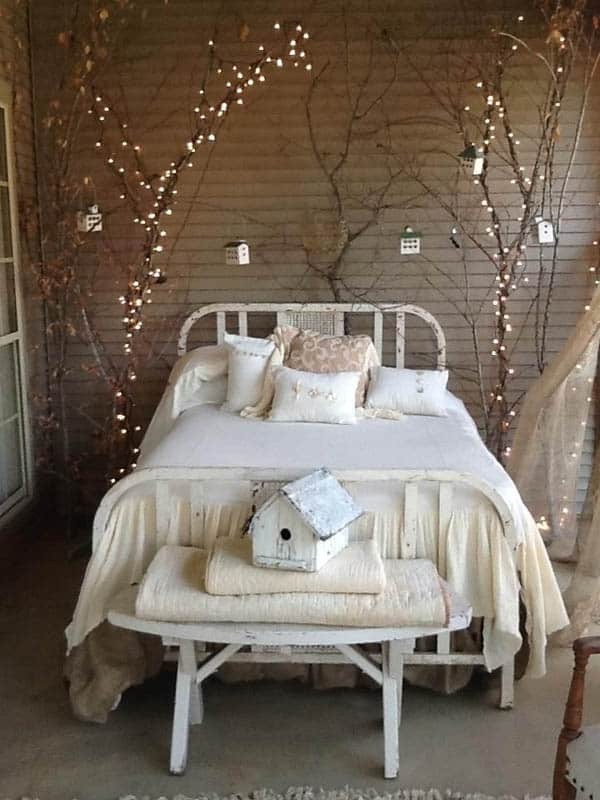 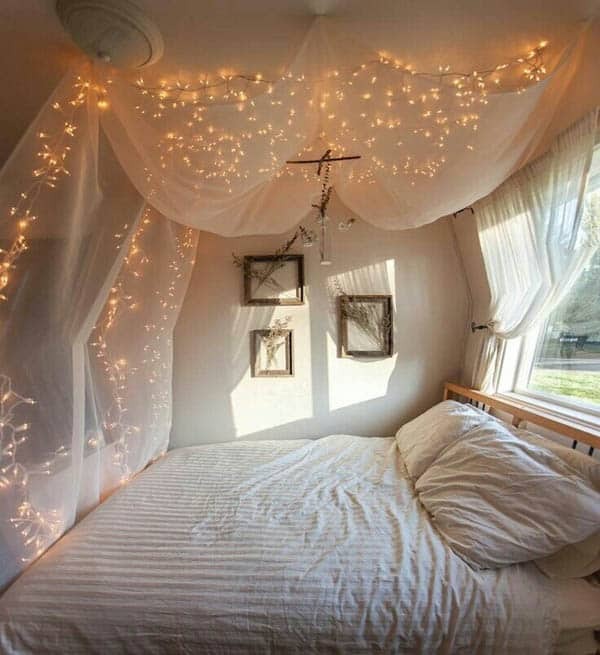 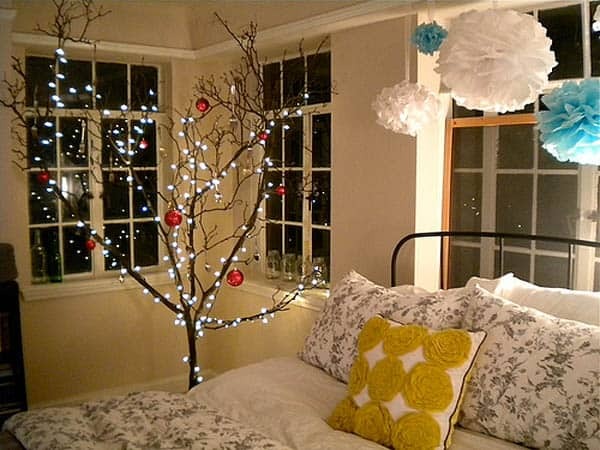 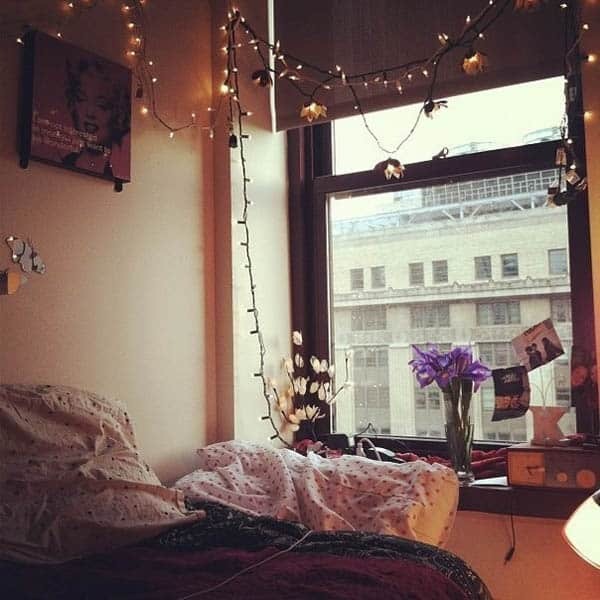 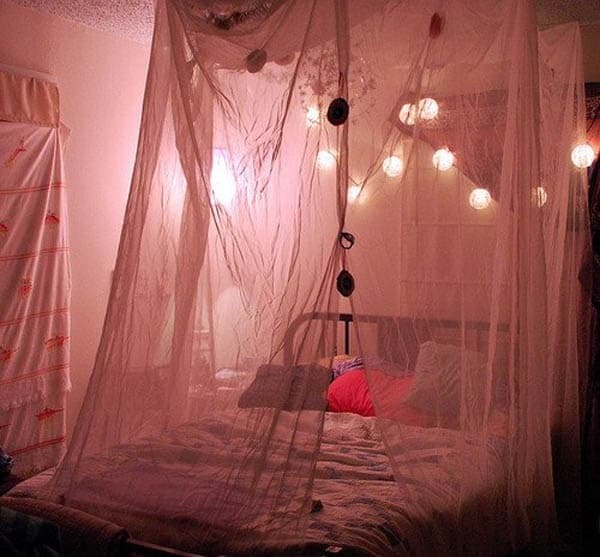 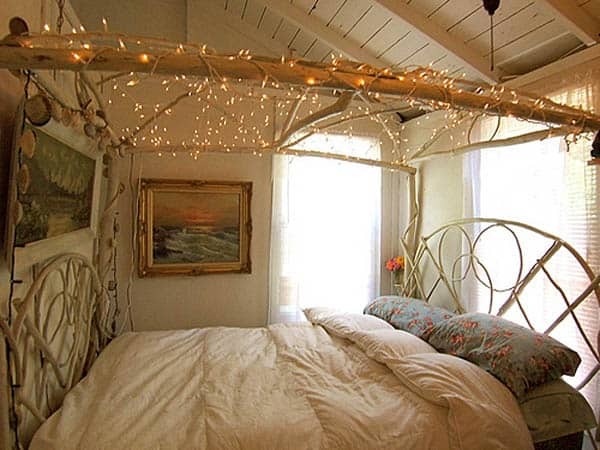 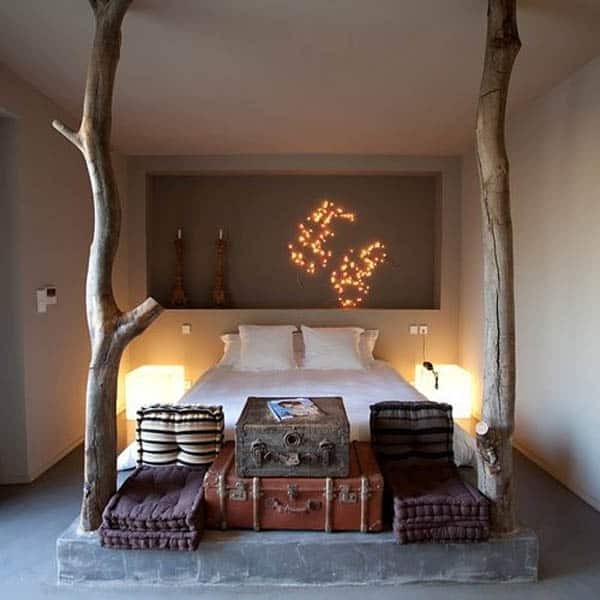 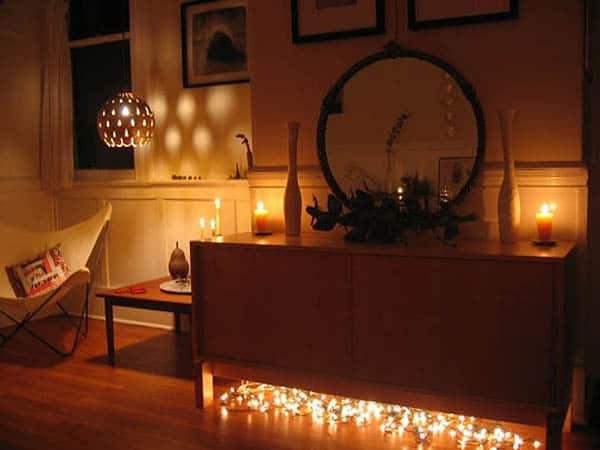 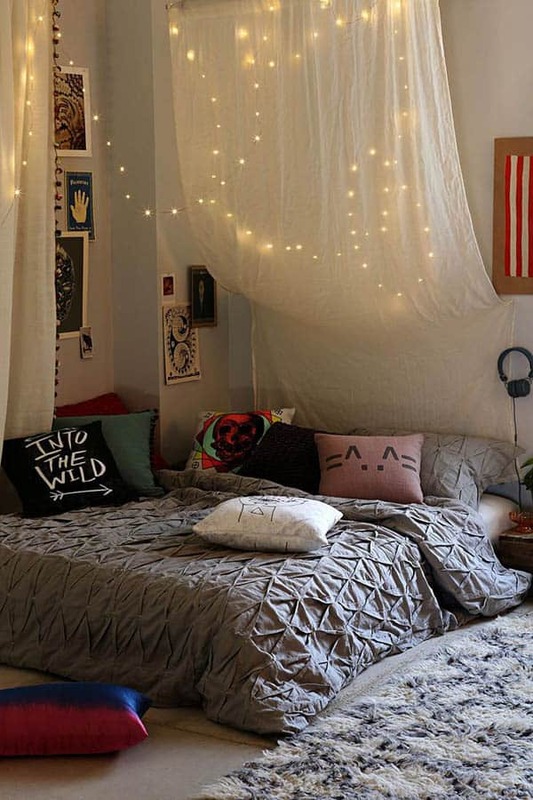 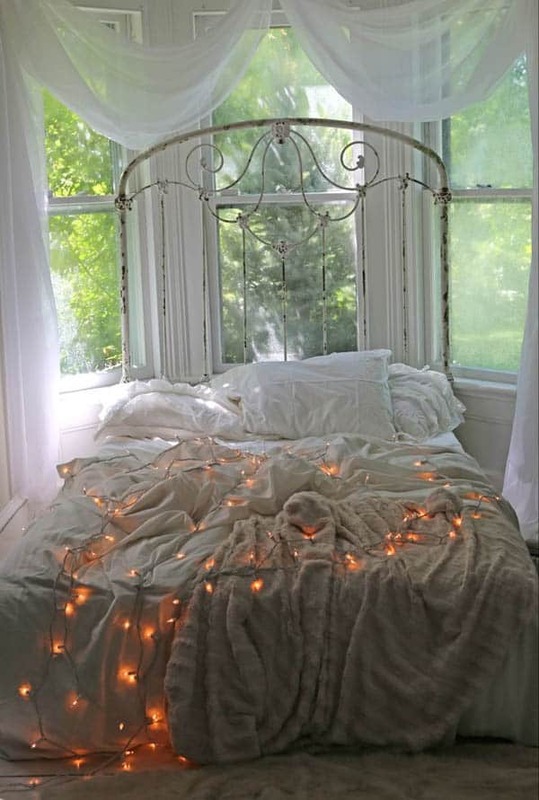 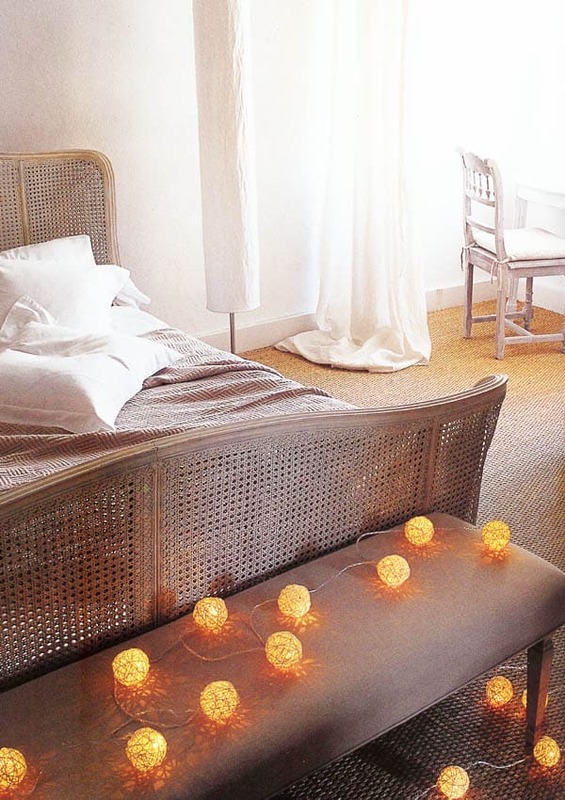 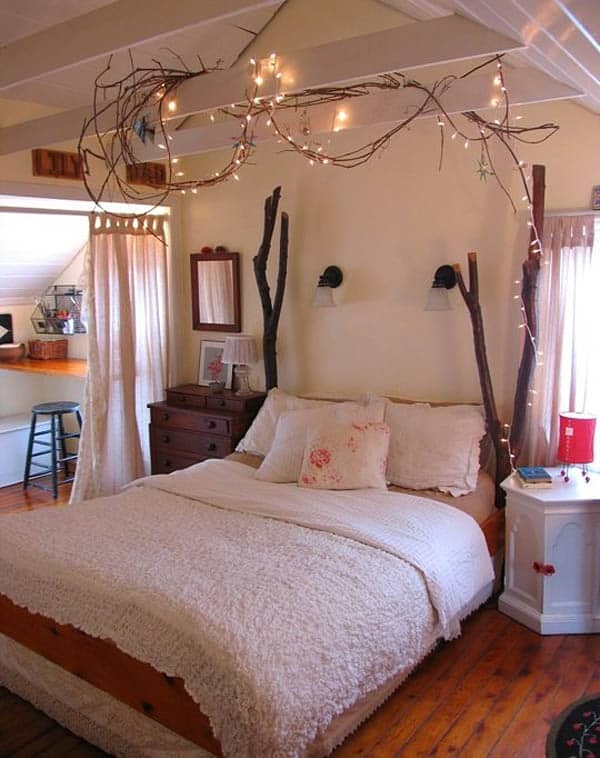 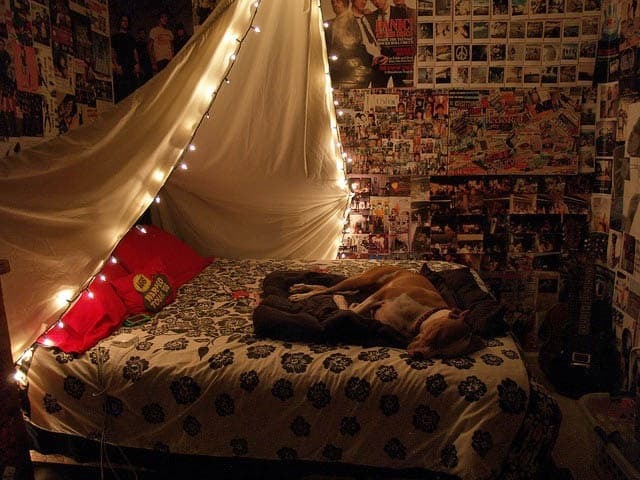 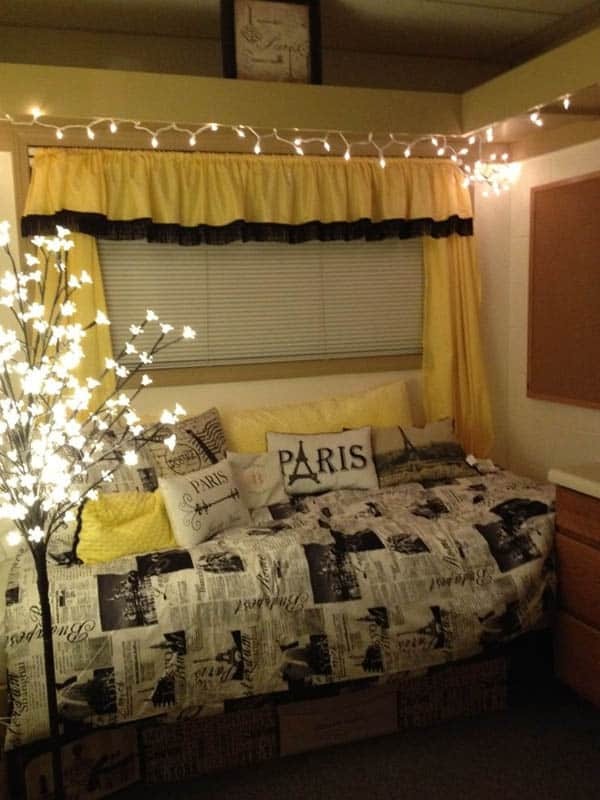 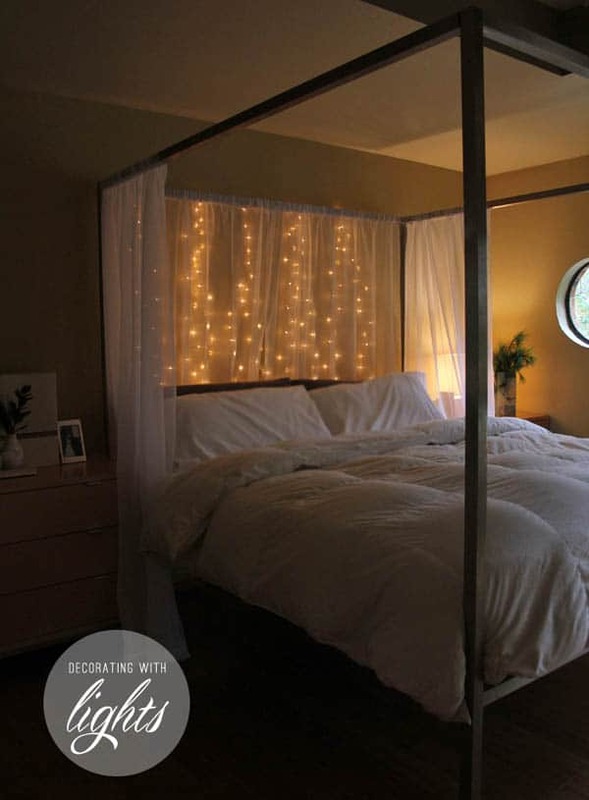 To create an inviting space, pair string lights with sheer white curtains and hang them around the bed. 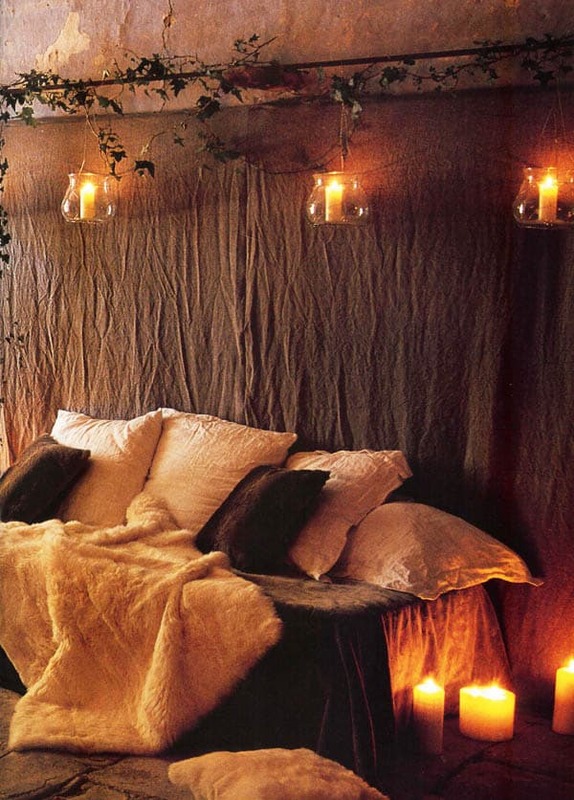 This combination will generate a slightly enclosed and super romantic ambiance. 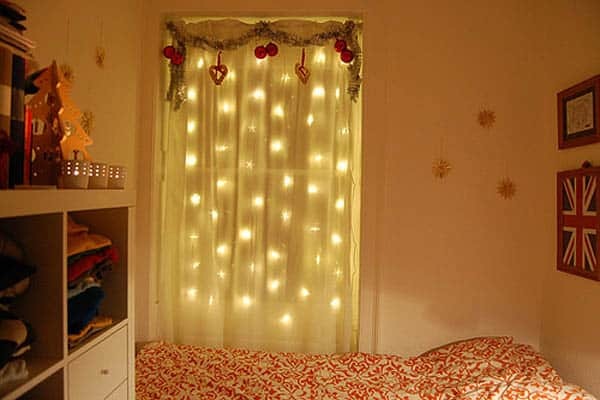 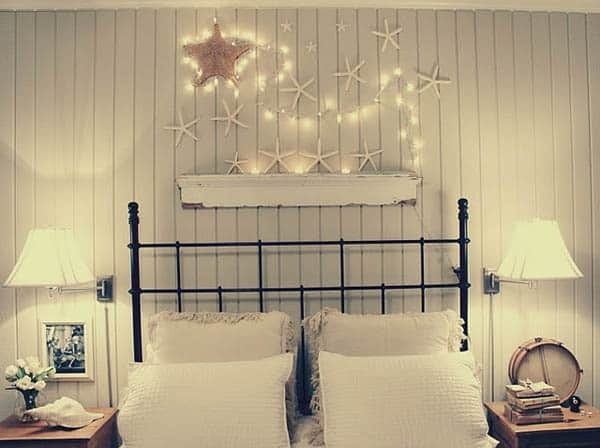 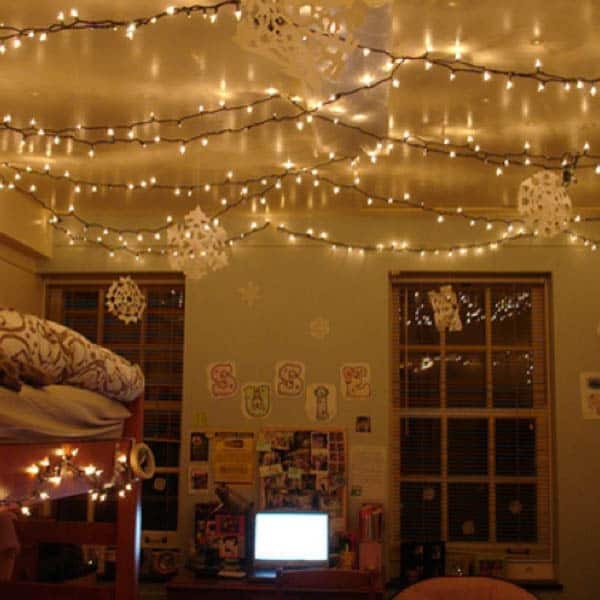 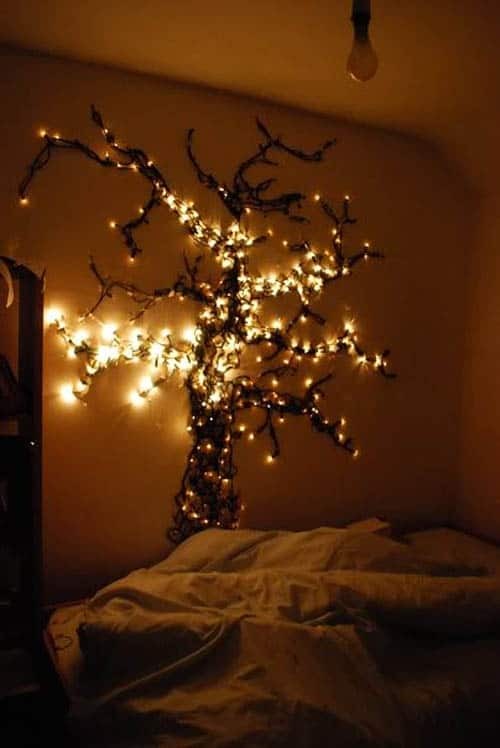 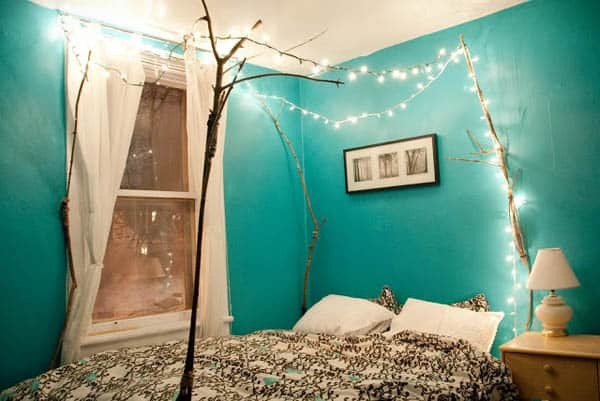 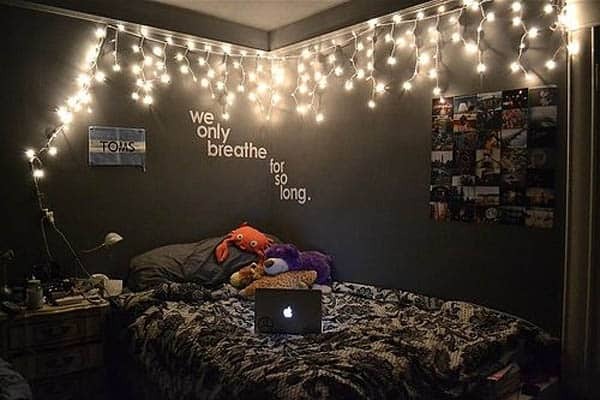 Have a look at the pictures below to get some creative ideas to hang holiday lights in your bedroom to make it cozy and even romantic, enjoy! 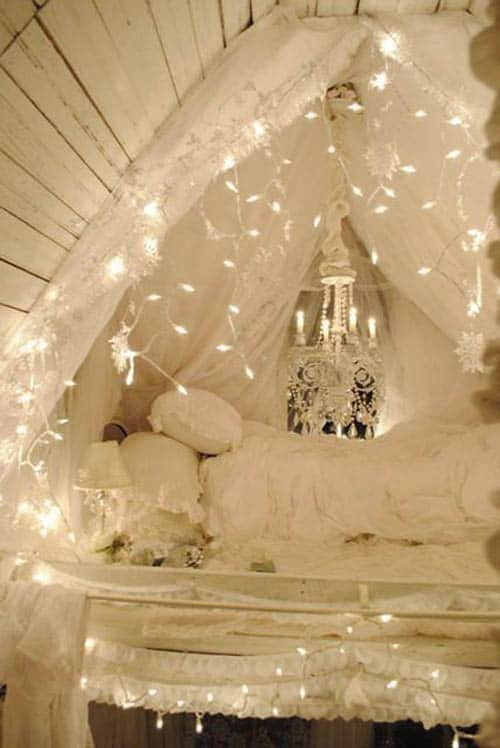 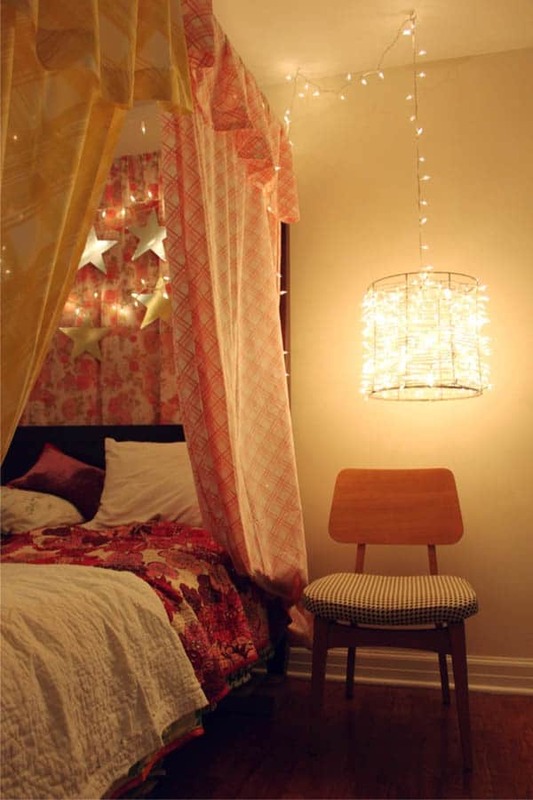 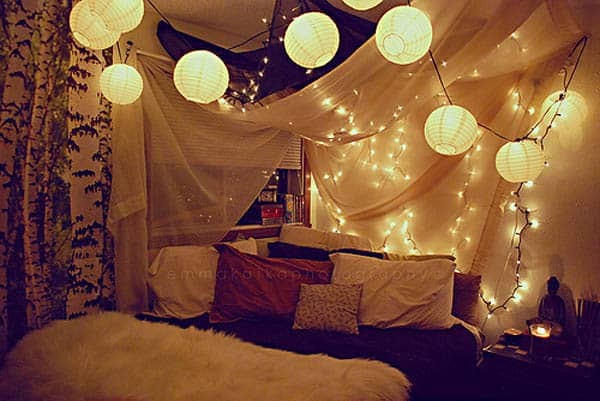 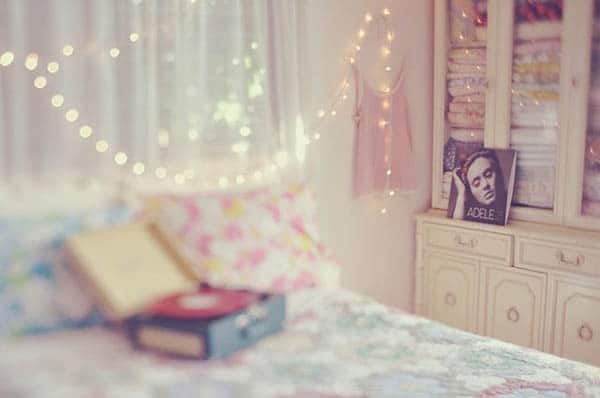 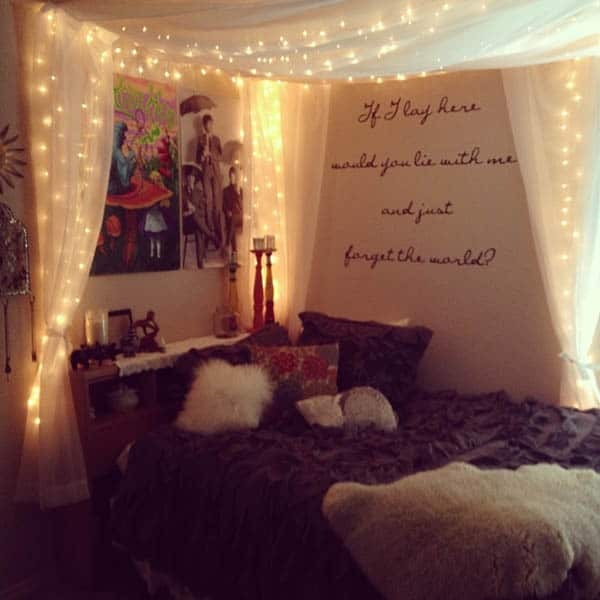 Add a touch of romance to your bedroom with a piece of fabric to use as a billowy canopy with twinkle lights. 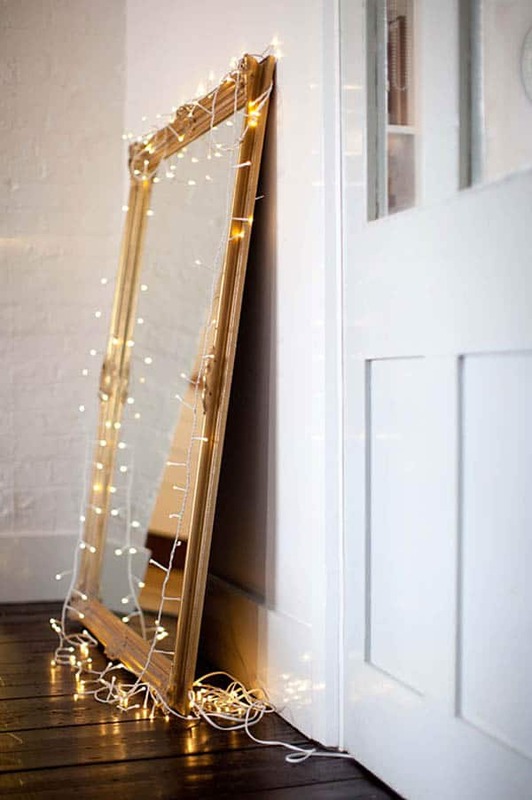 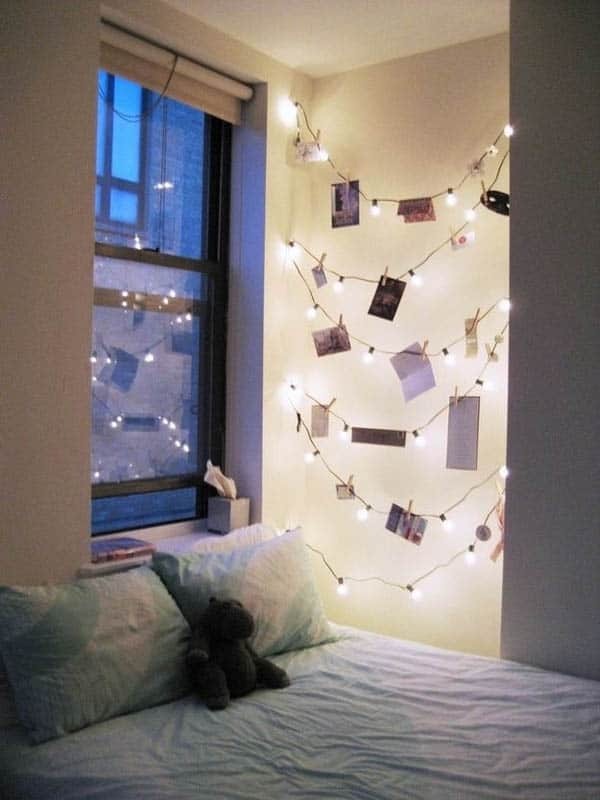 Hang pictures with clothes pins on your twinkle lights to illuminate them. 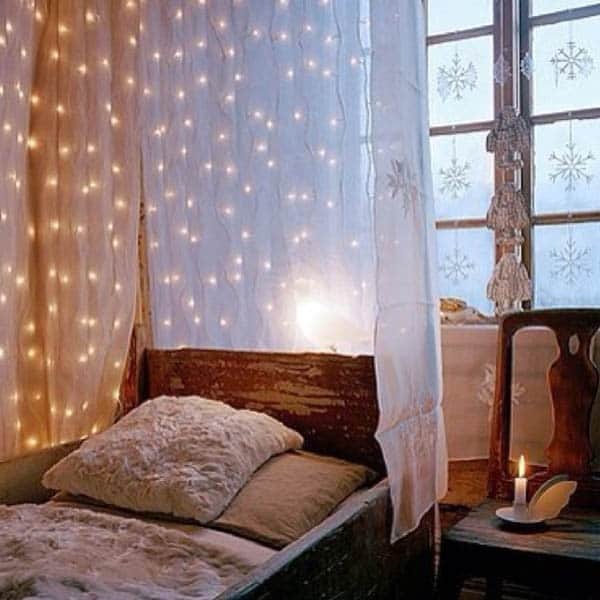 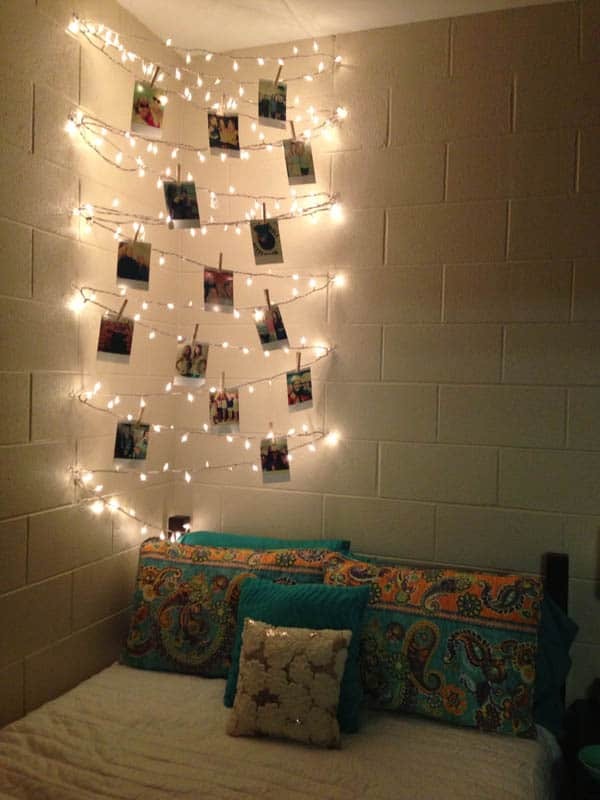 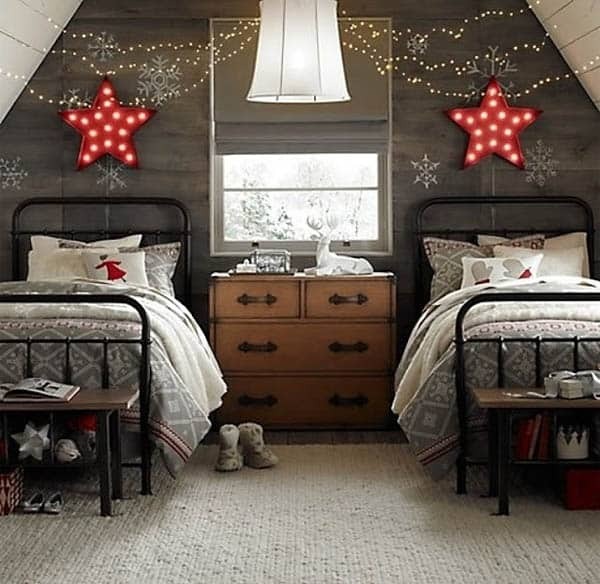 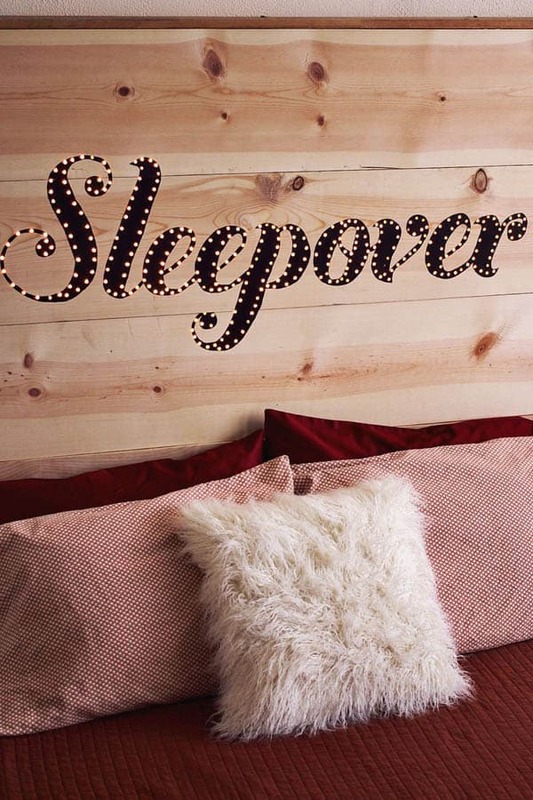 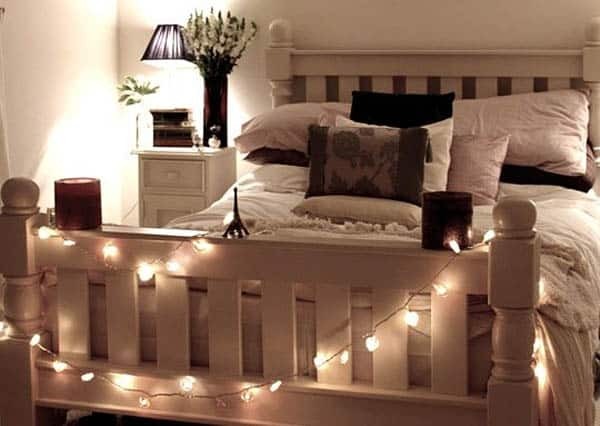 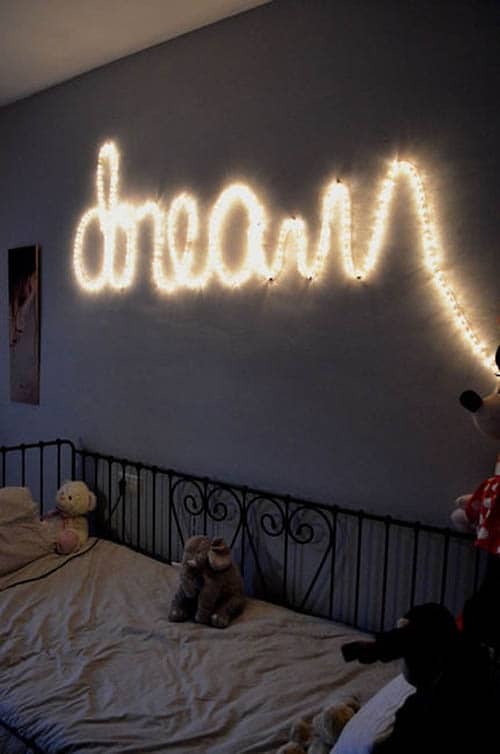 Craft a headboard with twinkle lights, perfect throughout the year! 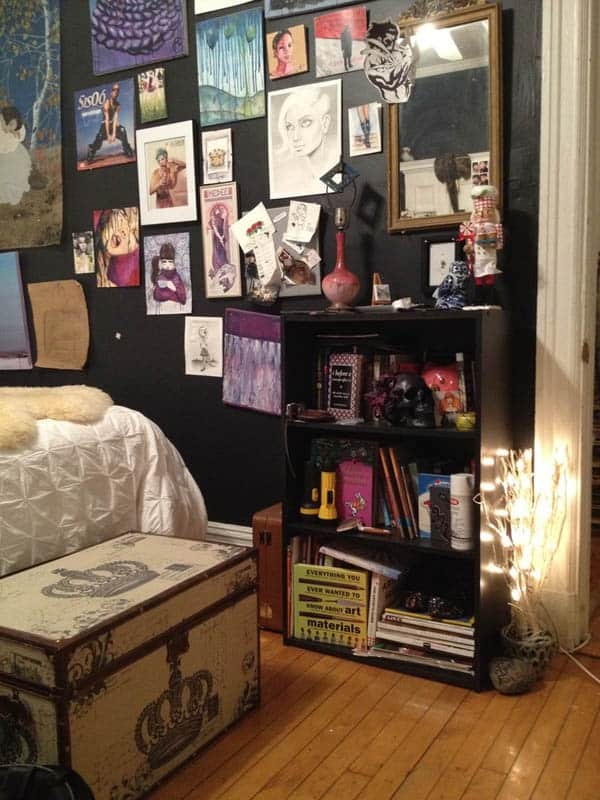 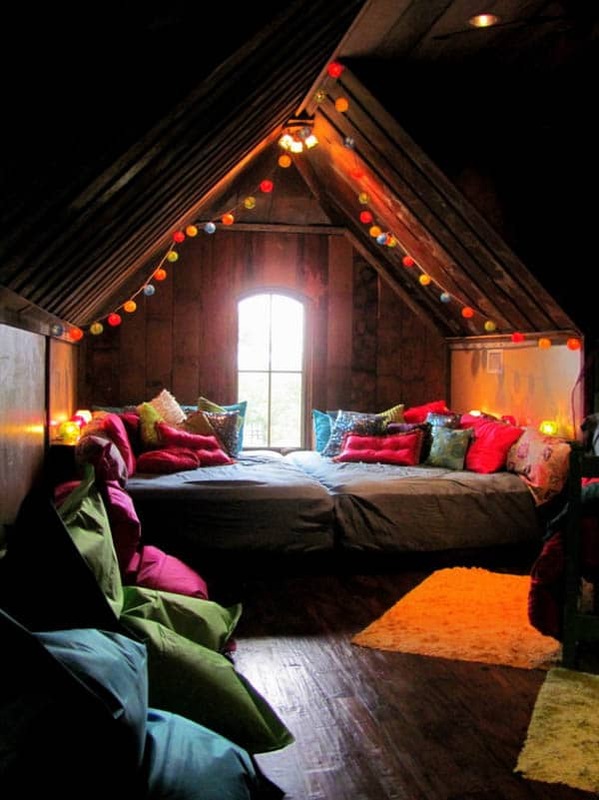 This room is a converted attic space. 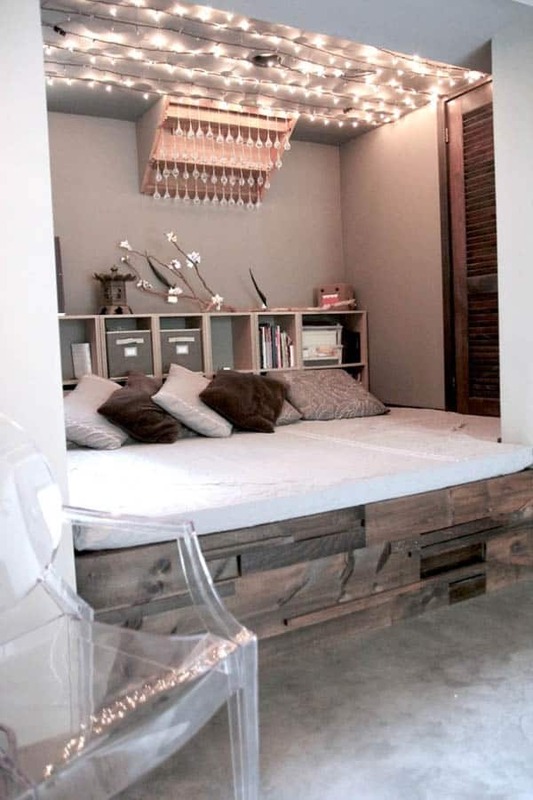 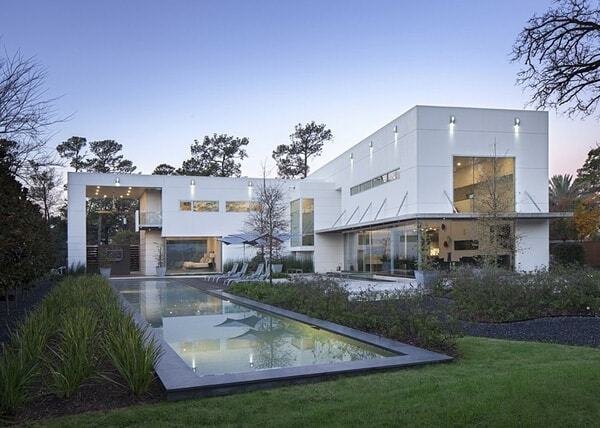 The platform holds two full size mattresses. 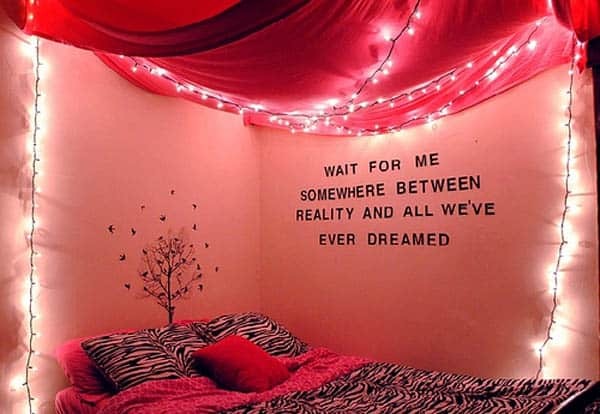 Behind the bed is a ledge. 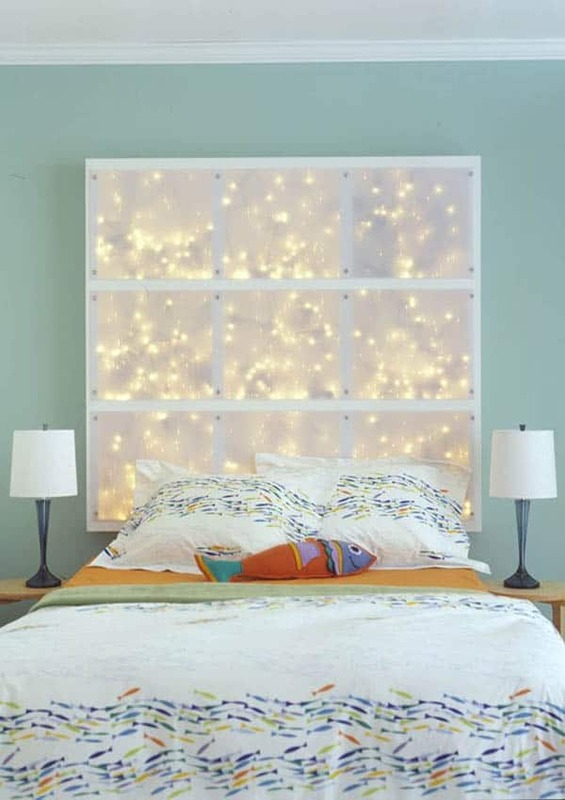 The fronts of the ledge are hinged to use as storage and also to access the plugs on the wall. 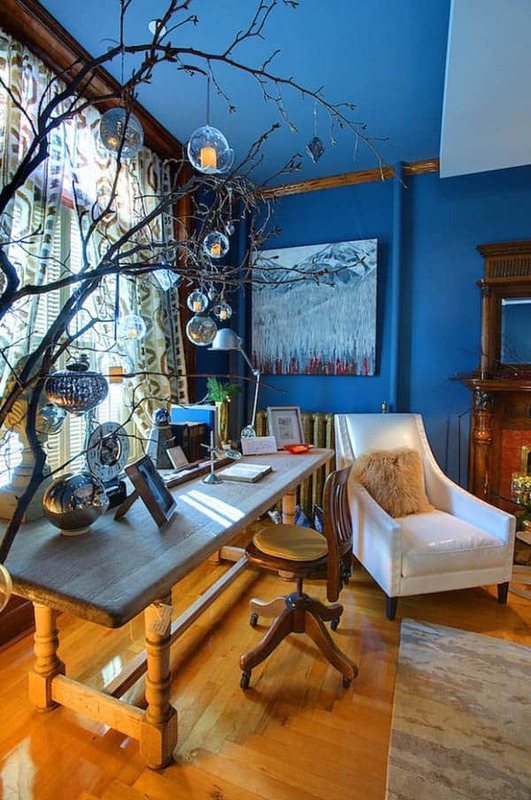 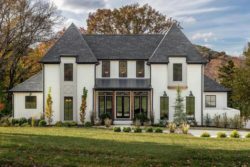 This renovation of an old hunting cabin by Sandra Foster into a 9 x 14 beautiful Victorian cottage can be seen in more detail here. 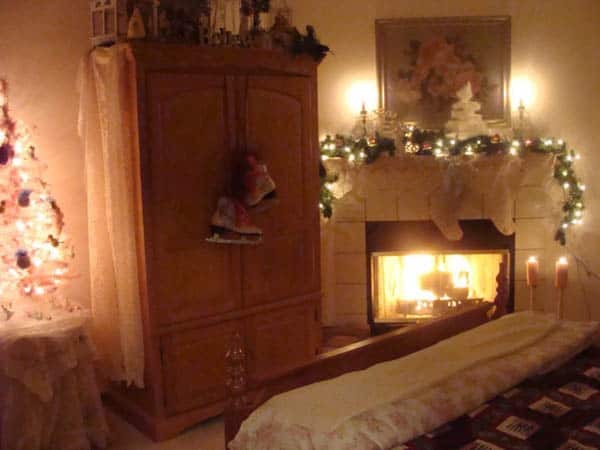 A principal bedroom in an historic home with an interior inspired by past and present. 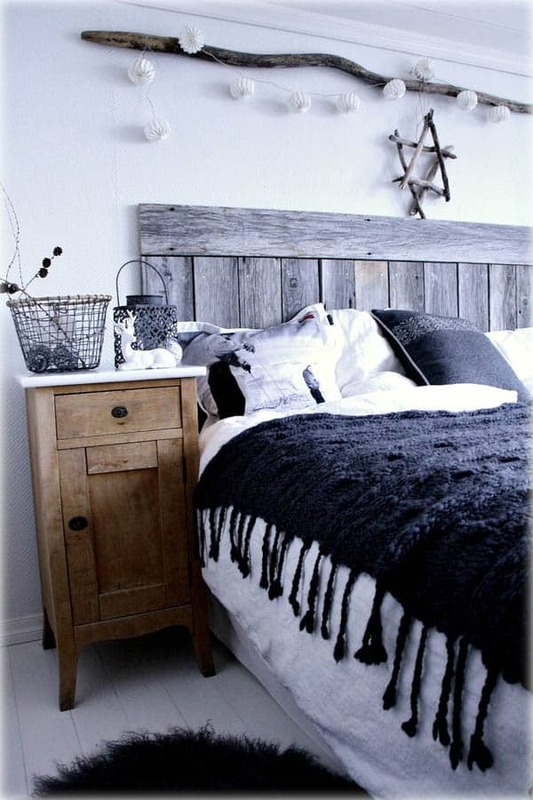 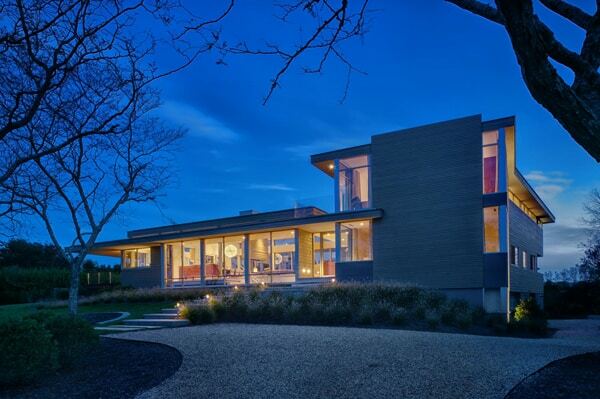 A fusion of traditional and contemporary pieces sit comfortably together against a deep blue background. 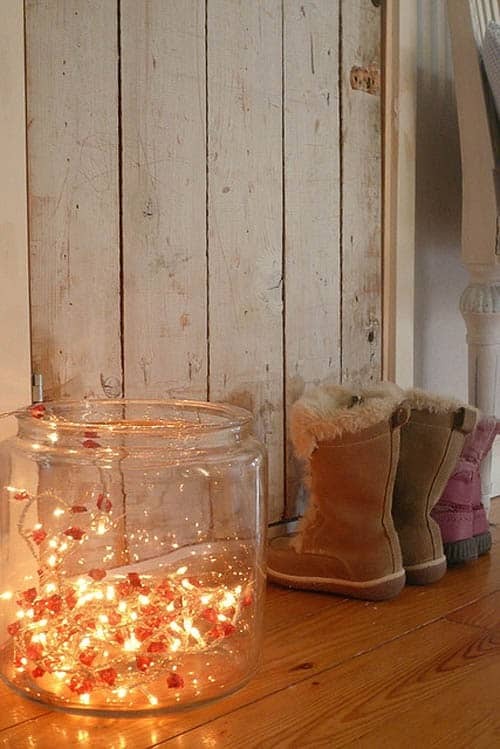 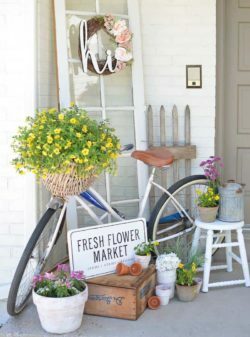 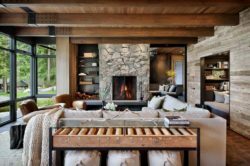 Seasonal decor adds sparkle and atmosphere. 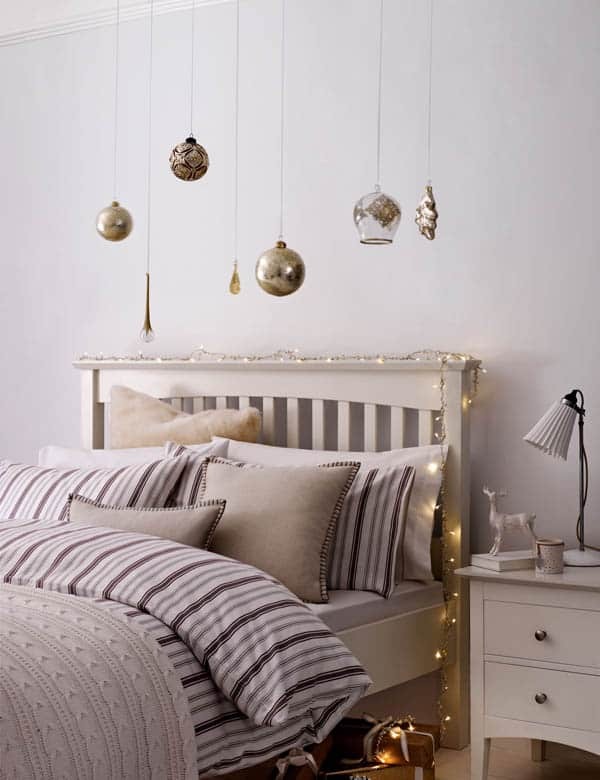 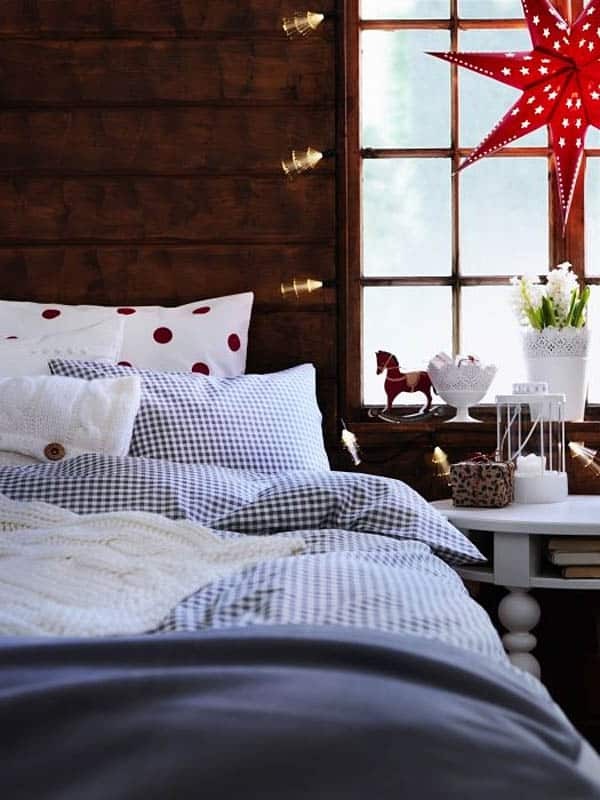 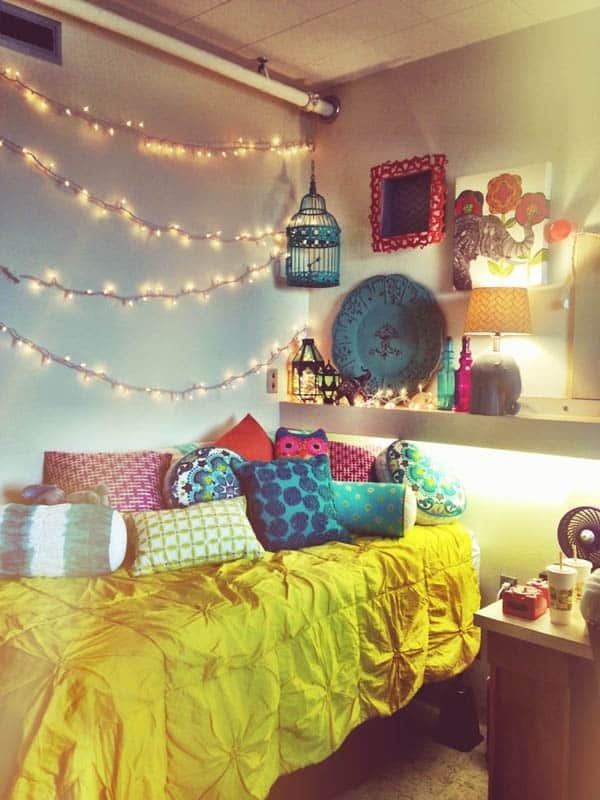 Add a touch of Christmas to your bedroom with LIAMARIA pillowcases and STRÅLA lights from Ikea! 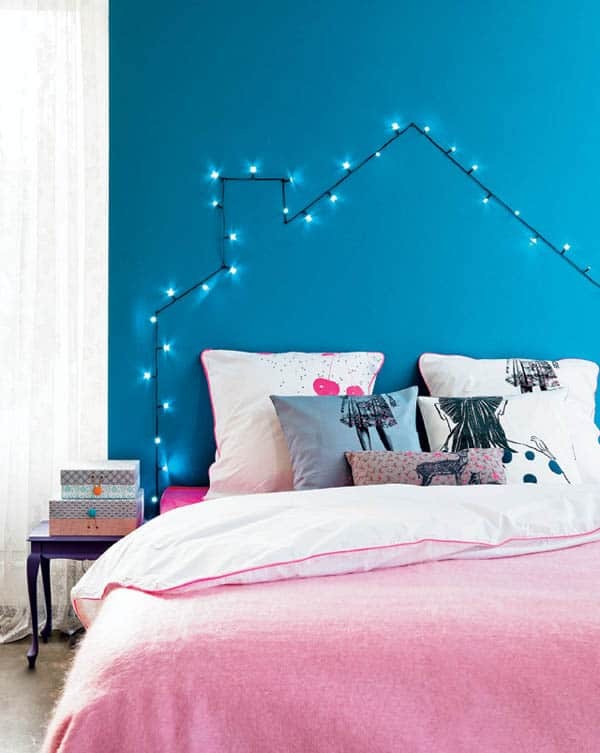 Don’t forget to decorate the guest bedroom! 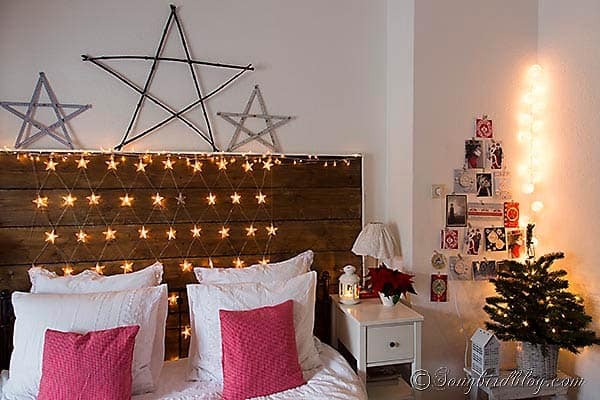 Marianne from SongBirdBlog suggests not overlooking any room when it comes to Christmas decorating. 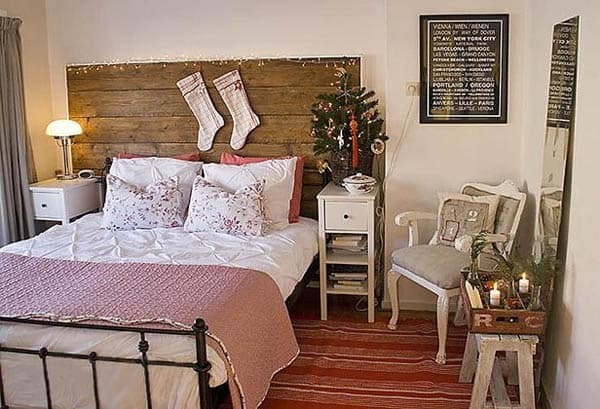 Stockings on the headboard, a little tree and some lights add the perfect touch to her Scandinavian-mountain-cabin style decor. 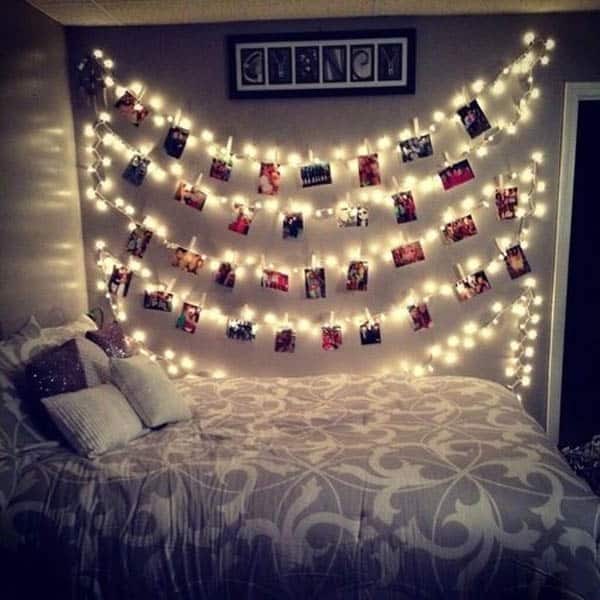 Some of them are really awesome!